PRICED TO SELL. Motivated Sellers have priced this property low for a QUICK and AS-IS sale This home was purchased with the intent to remodel and sell as an investment, but after multiple unfavorable and unlucky situations with contractors, the results aren't what the Sellers had hoped. They are leaving it to the next Buyer to take this home with great potential to the finish line. Super opportunity to own almost 10 acres and a pond. 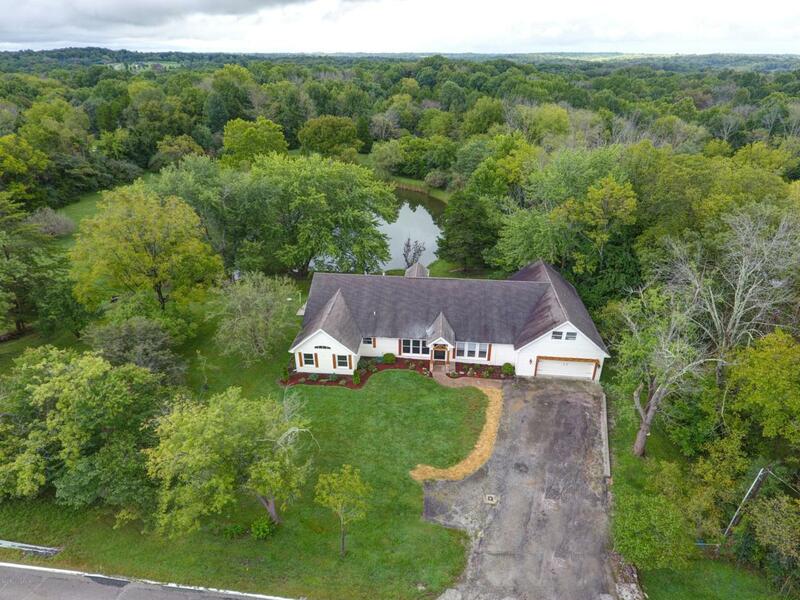 The house has open spaces w/ 5 full bedrooms and 3 full bathrooms, new stainless appliances, new furnace and a/c (Aug 2018), large 2+ car garage plus storage, big basement (non-conforming ceiling height) with built-in bar opens to a patio and gently rolling terrain down to the pond and acreage beyond.